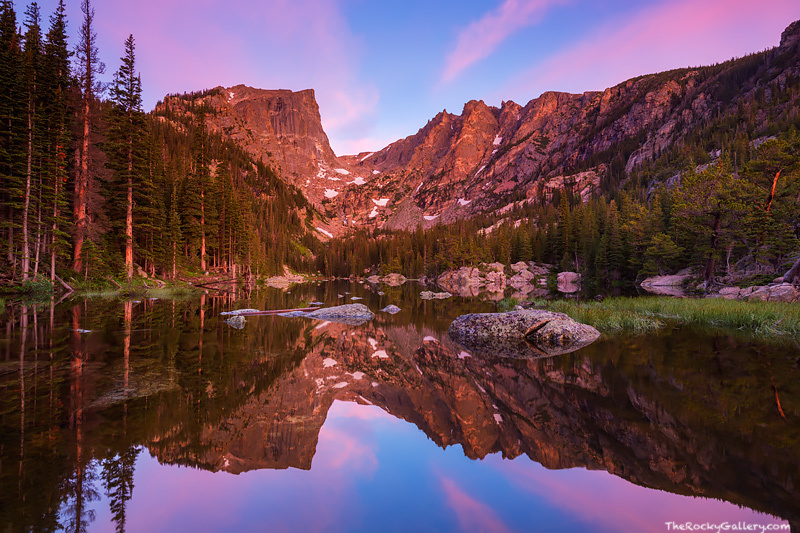 A spectacular pastel sky illuminates the sky over Hallett Peak, Flattop Mountain and Dream Lake as sunrise approaches. The still waters of Dream Lake reflet the colors of the sky perfectly. Dream Lake is one of Rocky Mountain National Park's most beautiful and iconic locations, but when the conditions come together as they did this morning, the beauty of Dream Lake is unsurpassed. Photo © copyright by Thomas Mangan.